In 2017, nearly 300 local people crowfunded over £9000 to bring a Library of Things to Crystal Palace. 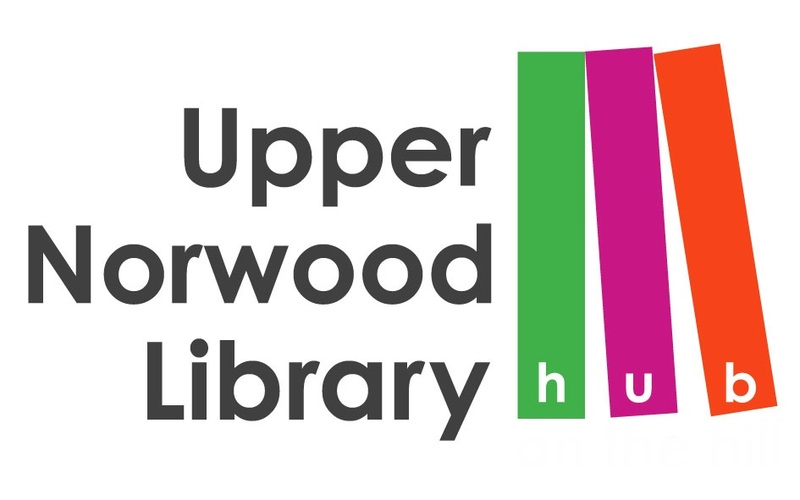 Now Library of Things, Crystal Palace Transition Town and Upper Norwood Library Hub are working together to make it happen! Crystal Palace Library of Things is a place where you can borrow useful Things like drills, gazebos and carpet cleaners at affordable prices and learn how to use them. 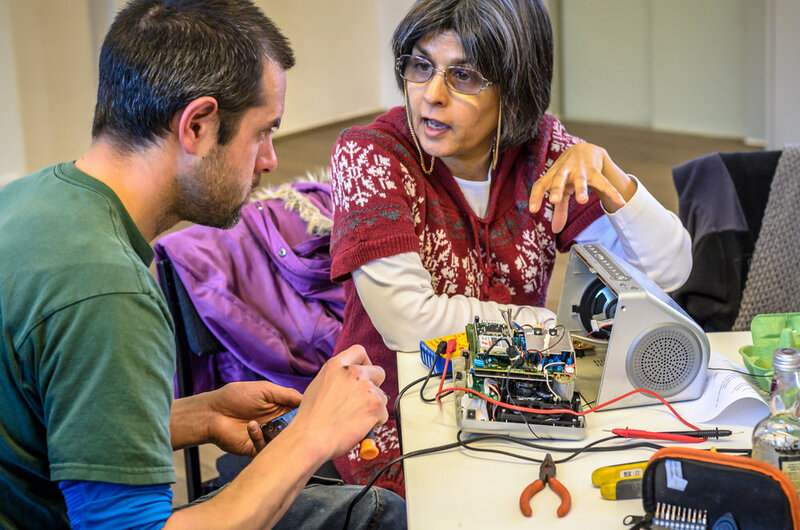 Get involved with events like DIY classes, restart parties, mending meet-ups, and lots more. Click here to browse our Things & and make your first reservation! Full address: 39-41 Westow Hill, SE19 1TJ. There is a car park just behind the library. To find it, take a left off Westow Hill down Beardell Street, immediately after Upper Norwood Library Hub. Drive about 20 yards, and the car park is through a gate on your left (marked as private). Thank you! 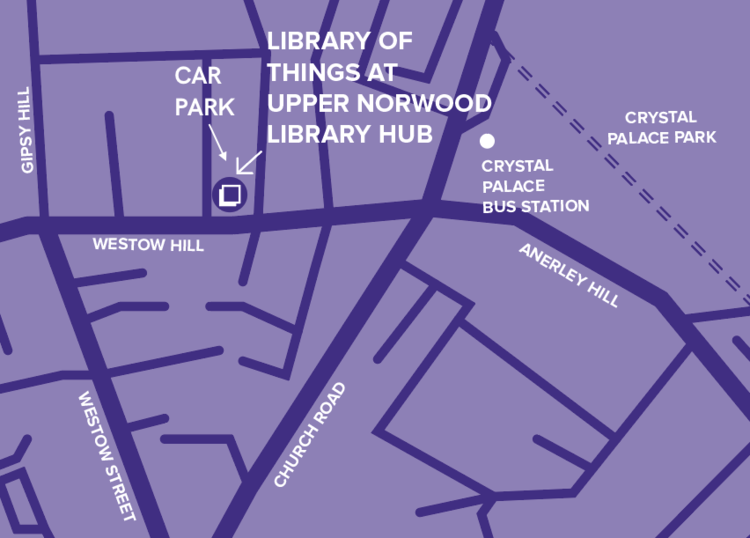 You've signed up to our monthly newsletter filled with Things, events and opportunities at Crystal Palace Library of Things. Check out our calendar below to see what's happening, and click through for more details and to secure your place. We're looking for enthusiastic and practical people to join our volunteer team – whether that's just for an afternoon or every week. 3. Keep your eye out for our next Volunteer Night and come along!